Be completely covered With our road risk insurance. Our road risk insurance policies are aimed at smaller businesses and individuals working in the motor trade. You will need road risk insurance if you need to drive vehicles which you don’t own. Whether you buy and sell cars from home, work as a mechanic or run your own car valeting business, we can provide the right level of road risk insurance cover to make sure you’re fully protected. The difference between a motor trade road risk policy and a private motor policy is that the road risk insurance policy specifies only the driver and not any one vehicle – meaning that you are covered to drive any vehicle in connection with your trade. Our policies include cover for driving or moving vehicles as part of your day-to-day business activity and we can include public liability cover. 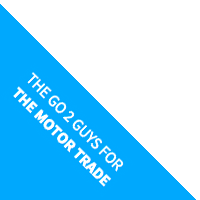 If you’re a full time trader or a part-time trader, we are specialists when it comes to motor trade road risk insurance. We pride ourselves on our motor trade expertise and our ability to arrange the correct insurance solution to those working in the industry. We’ll not just provide you with a motor trade road risk insurance policy, but with the advice and expertise you need to get your business running at its best. If you’re a new trader, then we know what you need to make sure you’re properly covered. We offer increased discounts for first time traders, as we understand the fact that you know what you’re doing and just want to get on with running your business! You can get a quote online below, or contact our friendly team for more information on 0330 053 5110. Please make sure you fill in all the areas marked with a * to send your request first time. Will you deal with any of the following areas? Please change the options below if applicable. Please fill in a description in the box located below. Make sure click on the additional driver option and fill in the the boxes in this section. If you have answered YES to the above questions regarding convictions and claims please enter a description in the box below. Make sure you fill in the relevant areas below. Depending on the number of drivers you have selected from above, please click on the relevant driver and fill in the boxes within that section. If you have answered YES to the question regarding claims and convictions please enter a description in the box below. If you have answered YES to the above question please select one of the amounts from below. If the form fails to send through and a validation error has occurred please use the option to open all fields to see the required fields that you have missed out. "Tired of form filling, no problem let us contact you instead!"